I think we may have overdone it on the new car. 6x6 rear and 3x6 front. Cool, And its a lowrider too. Nice! It looks like a toy....oh wait, it is one! 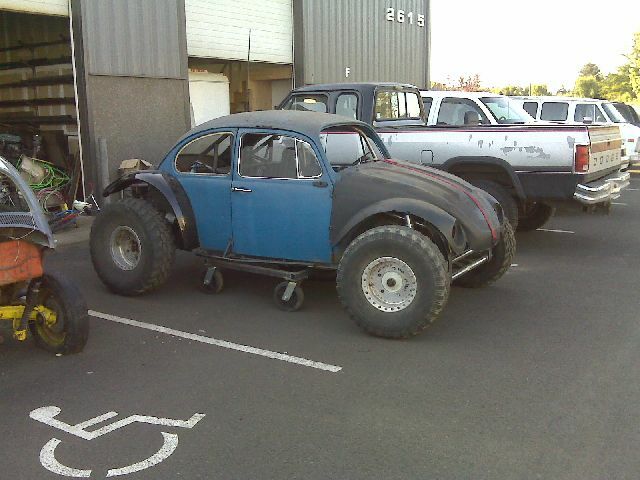 I think it needs bigger tires. It will sit higher when we get nitrogen in the shocks and make it stand up on its own. I have some 40" tires. Maybe those will fit. Hope you have some power in the Engine Dept. as well pretty tough lookin' though. that looks sick man you going to use it for mud boggin or plan ol off roadin or what?? It will be dual purpose. 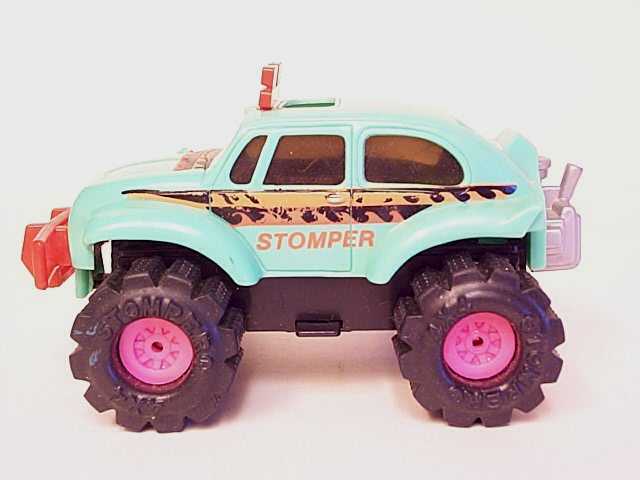 Street legal but used as a serious off-roader. We have a 350hp engine to put in it and power steering so it should get out of it's own way. The tires and wheels are from a class 1 race car and are surprisingly light. There is no such thing as to much travel. Nice job. We have the molds for the rear fenders on this car also so if anyone need REALLY wide and tall fenders we can hook you up. They mount about four inches above the stock mount, follow the body line and are about 16" wide. VW Volkswagen & Baja Bug General Discussion Welcome home! 1 ghettodish 1566 Welcome home! VW Volkswagen & Baja Bug General Discussion im coming home!! 10 70bug 3423 im coming home! !